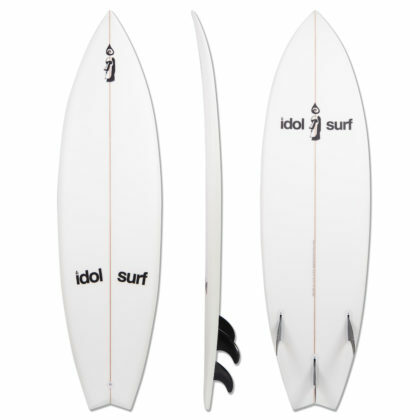 This modern high-performance epoxy longboard designed for Great Lakes Surfing is offered by idol surfboards at an unbeatable price. 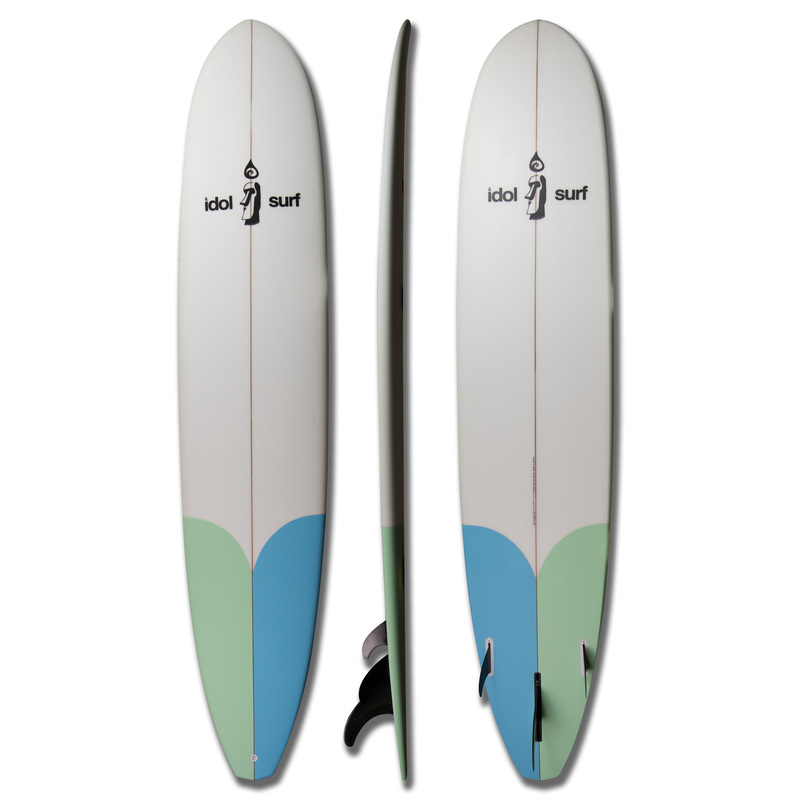 A longboard is basically requisite for surfing The Great Lakes, and the 8’08” Noelani is a great board for any great lakes surfers under 190 pounds. 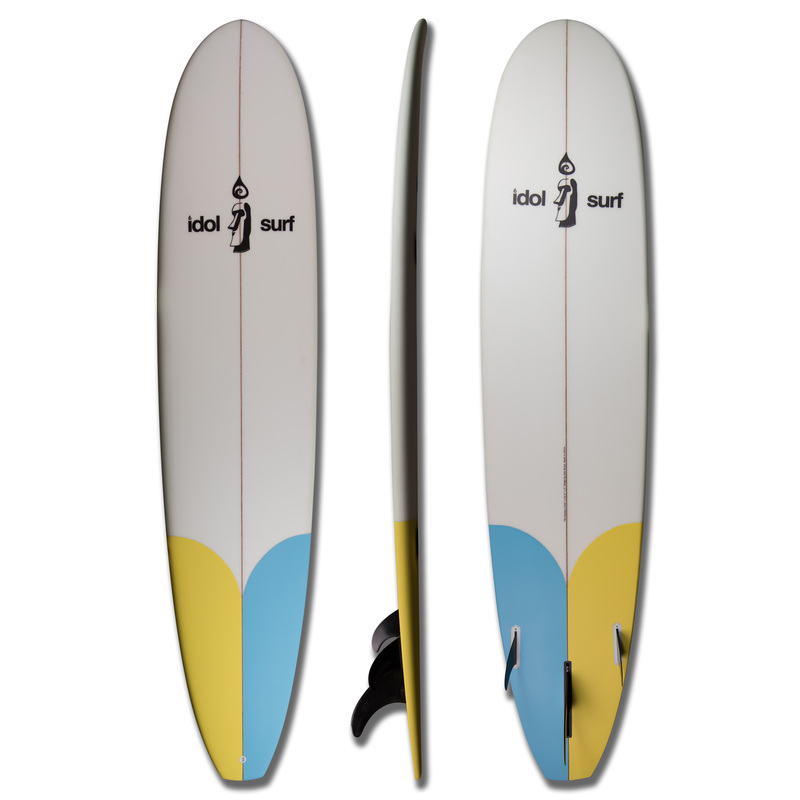 This high-performance modern longboard is his aggressive enough for advanced surfers and stable enough for beginners. You’ll find most of the board’s 69 liters of volume in the front half of the board – this makes paddling and catching waves a snap. 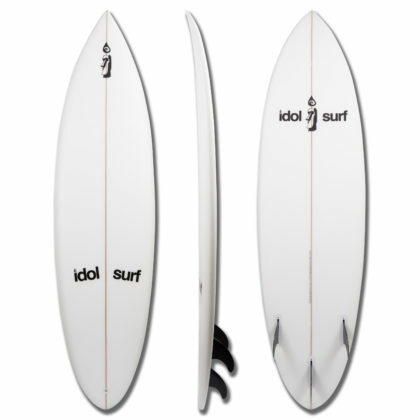 That wide front half matched with a single concave makes the board plane easy and opens the opportunity for nose riding. Step back to the back half of the board where the outline tapers to a somewhat narrow squash/diamond tail with a slight vee on the bottom – here you can engage the 1+2 fin setup and put the board on-rail for sweeping turns. While the rocker is flatter to accommodate nose riding, but there is enough nose-flip to keep from pearling on The Great Lakes points. At 8’08” x 22.5″ x 3″, there is plenty of stability for beginners, while the high-performance features will not disappoint even veteran long-boarders. 8'08" x 22.5" x 3"